Visit us on the Suffolk Heritage Coast. You have the option to camp, tour, go self-catering or try glamping with a view of the sea. Not only are our camping pitches spacious, but we also have dedicated playing areas. The showers and toilet blocks are kept in pristine condition, and even designed like a log cabin. Whilst you're here, you can also enjoy the wide, sandy beach. It is directly accessible by our very own beach steps. We have the ideal spot from which to explore Norfolk and Suffolk. Our seaside resort area is a short distance from Lowestoft, Southwold and Great Yarmouth. Each Park has been chosen for its location, sustainability, quality and suitability for our discerning Clients. Check out this and our other Park websites and you will see that we have built a company based on serving you our customer. Kessingland is a lovely seaside resort area located on the Suffolk coastline next to Lowestoft. A bit further up the coast are the traditional seaside towns of Great Yarmouth and to the South Southwold with its Victorian pier and promenade. At The Hollies Camping and Leisure Park, we focus on our customer service. Every member of staff has been handpicked for their positive attitude. This ensures that all our customers enjoy their visit at The Hollies. You can leave feeling well rested, having enjoyed a great holiday. 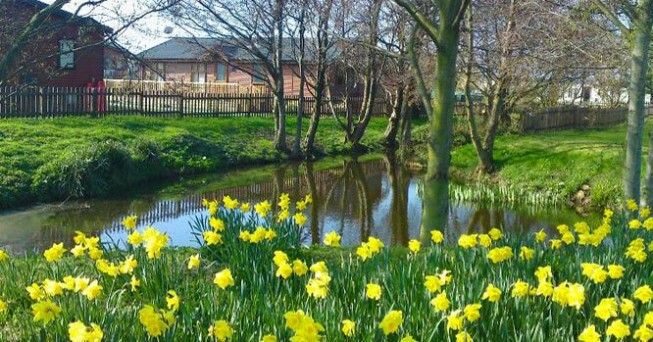 We value all customers, whether you are here for a one-off holiday or if you have bought a holiday lodge here on the park, so feel free to come and say hello whilst you are on your stay. 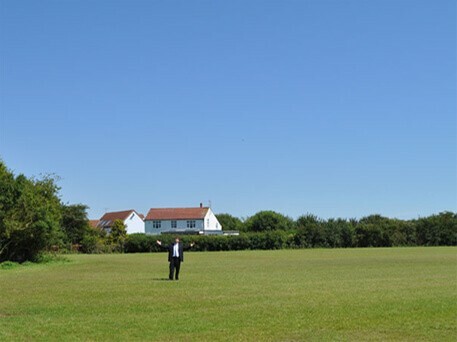 The Hollies, Kessingland is in a beautiful part of Suffolk. Our clifftop park overlooks a wide, sandy beach. Located close to the seaside town of Lowestoft, we are also central to many local landmarks. For family fun, Africa Alive zoo is only just down the road and Pleasurewood Hills theme park is also nearby, between Great Yarmouth and Lowestoft. There are plenty of things to do, as well as places to explore. The surrounding area hosts many outdoor sporting activities, including swimming, golf, ten pin bowling, horse riding and roller skating. There are also many opportunities for relaxing nature walks, picturesque cycle rides and boating. Great Yarmouth is host to twelve amusement arcades within two square miles. This fabled "Golden Mile" also attracts millions of visitors each year due to its sandy beaches, Sea Life Centre, the Pleasure Beach amusement park and much more. History fans will love visiting Dunwich, otherwise known as the lost city. Time Team visited this ancient village in 2011 and you too can explore its long heritage. From the heritage trails to the Dunwich Museum, there is plenty to see and do here. Southwold is also just a short drive away. Visit the Victorian pier, beach hut-lined promenade and the world famous Adnams Brewery. There are also tours of the lighthouse and, if you're visiting us between May and September, the Southwold Summer Theatre feature performances.